Joni Fernandez is senior vice president of the Univision Agency, the Company’s full-service internal agency that is responsible for all cross-channel promotions and over $500 million of media inventory across all of Univision’s 16 broadcast, cable and digital networks, and radio properties. In addition, she also oversees the Creative & Production Services and Art & Design departments, as well as the account management team that services the Agency and the Company’s corporate marketing efforts. At the helm since its inception in 2013, Ms. Fernandez and her award-winning Agency team were key to the Company’s flagship Univision network winning two consecutive July ratings sweeps, in 2013 and 2014, establishing it as the nation’s #1 broadcast network for those periods in any language. In addition, The Agency’s cross-promotional campaign for the 2014 FIFA World Cup achieved record-breaking ratings and social media activity in addition to a Promax Award for Creative Excellence in promotional campaigns. Additionally, Ms. Fernandez oversaw the development and creation of an entirely new graphic look and branding campaign for the Univision network titled “La Que Nos Une” (The One that Unites Us), which was successfully launched at the beginning of 2017. Ms. Fernandez previously served as vice president of On-Air Promotions and Marketing for Univision Communications’ portfolio of cable networks, overseeing marketing and promotions efforts by focusing on elevating brand equity and creating consistency and continuity throughout messaging. During this time, she contributed to the highly successful launch of the Univision tlnovelas network, as well as the rebranding campaign on behalf of Galavisión, the nation’s leading Spanish-language cable network, spearheading the first redesign of the logo and on-air look in 15 years. 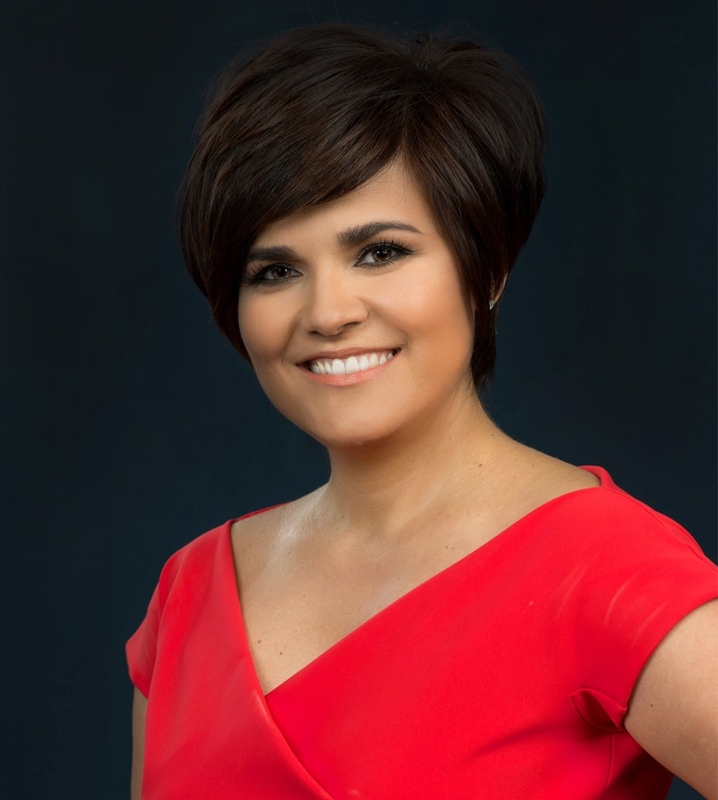 Prior to this position, as vice president of On-Air Development for the Univision Network, Ms. Fernandez was instrumental in the relaunches of the network’s most important programs including its morning show “Despierta América” (Wake-Up America), entertainment news programs “El Gordo y La Flaca” (The Scoop and The Skinny) and “Sal y Pimienta” (Salt and Pepper), as well as the news division’s “Noticiero Univision” nightly newscast, “Aquí y Ahora” (Here and Now) newsmagazine, and the Sunday morning public affairs program “Al Punto” (To the Point). Previous to that, Ms. Fernandez led the Program Continuity division of Univision Networks for 13 years working closely with all divisions of the company on a variety of projects, including creating content and project managing the Company’s Upfront presentations, as well as a number of the Corporation’s empowerment initiatives including voter registration and get out the vote campaigns, for which she received a Peabody Award and the NAB President’s Award in 2008. Earlier in her career, Ms. Fernandez was an intern and production assistant for the Univision Network, and worked as a producer for live magazine and variety shows for Telemundo. She returned to Univision in 1994 as producer for the news program “Primer Impacto” (First Impact) and then moved on to launch the network’s top-rated morning show “Despierta América” (Wake-Up America). A member of Women in Cable Telecommunications (WICT), she is also spearheading a partnership between Univision Communications and Miami-Dade College and the $100,000 scholarship donation to its MAGIC program. Ms. Fernandez received her Bachelor of Science degree in Communications from the University of Miami. Univision Communications Inc. (UCI) is the leading media company serving Hispanic America. The Company, a leading content creator in the U.S., includes Univision Network, one of the top five networks in the U.S. regardless of language and the most-watched Spanish-language broadcast television network in the country reaching approximately 96% of U.S. Hispanic television households; UniMás, a leading Spanish-language broadcast television network reaching approximately 89% of U.S. Hispanic television households; Univision Cable Networks, including Galavisión, the country’s leading Spanish-language cable network, as well as Univision tlnovelas, a 24-hour cable network dedicated to novelas, Univision Deportes Network, a 24-hour cable network dedicated to sports, ForoTV, a 24-hour Spanish-language cable network dedicated to news, and an additional suite of six cable offerings - De Película, De Película Clásico, Bandamax, Ritmoson, Telehit and Distrito Comedia; Univision Television Group, which owns and/or operates 62 television stations in major U.S. Hispanic markets and Puerto Rico; Univision Radio, the leading Hispanic radio group which owns and/or operates 69 radio stations in 16 of the top 25 U.S. Hispanic markets and Puerto Rico, as well as Uforia, the leading Hispanic digital music service; UVideos, the first bilingual digital video network serving Hispanic America; an Interactive network of online and mobile apps and products including Univision.com, which continues to be the No. 1 most-visited Spanish-language website among U.S. online Hispanics, and Univision Partner Group, a specialized advertising and publisher network. UCI’s assets also include a minority stake in El Rey Network, a new 24-hour English-language network founded by maverick filmmaker Robert Rodriguez, and a joint venture with Disney/ABC Television Network for Fusion, a news, pop culture and satire TV and digital network. Headquartered in New York City, UCI has television network operations in Miami and television and radio stations and sales offices in major cities throughout the United States. For more information, please visit Univision.net.